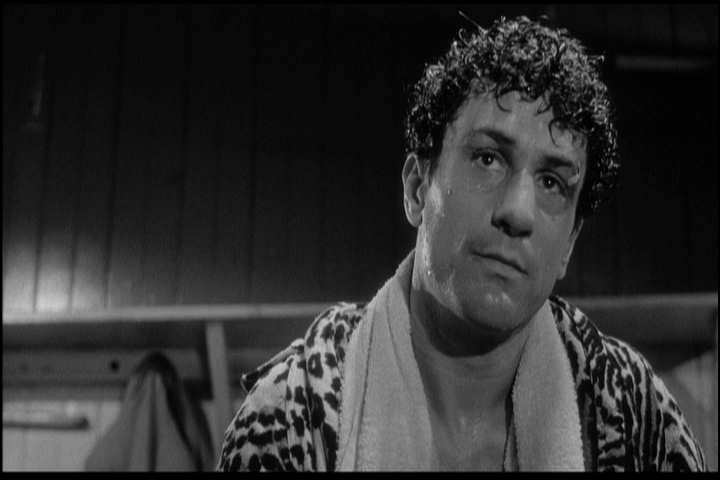 Fans may be disappointed that I include no boxing screen captures from Raging Bull (1980). That's partly because I'm drawn to the characters more than the fights, and partly because stills won't capture those superb sequences. 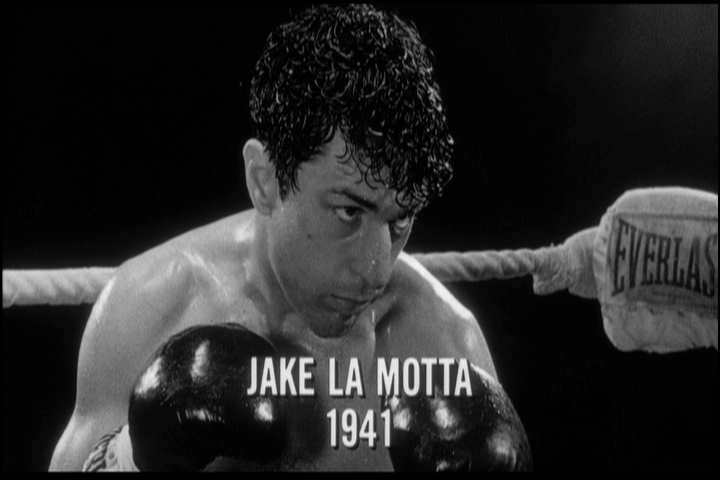 Robert De Niro shows again his tremendous acting, as he plays boxer Jake La Motta over a period of twenty-three years and sixty pounds. You read that right. De Niro gained sixty pounds to play the older La Motta. According to the IMDB trivia, De Niro (a Method actor who heavily researches and lives his roles), trained extensively and even entered three Brooklyn boxing matches. He won two of them. This is an elegant, sad, graceful movie. The music, by 19th century composer Pietro Mascagni, exactly fits the operatic mood. This isn't a boxing movie. It's a piece of art where the anti-hero happens to be a boxer. 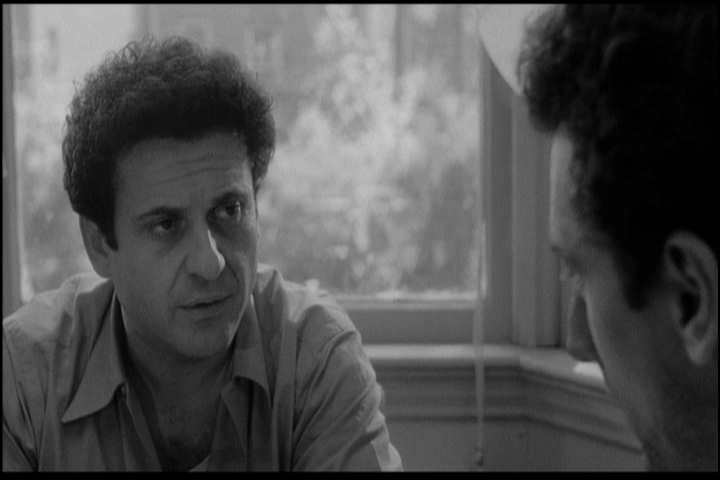 Robert De Niro, as the heavy, middle aged La Motta. 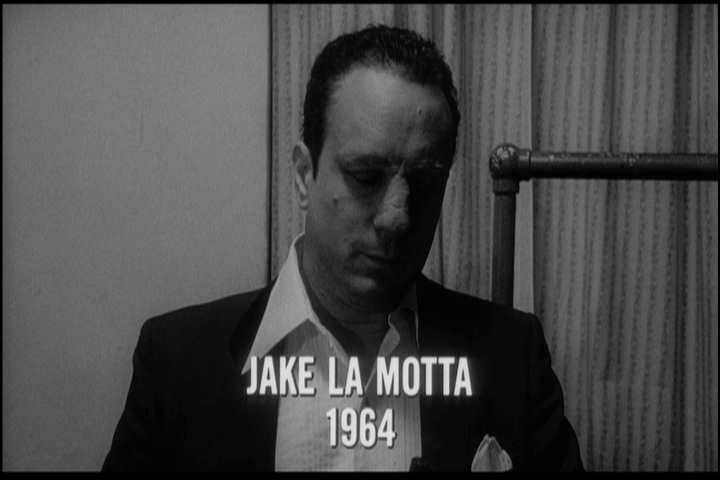 And, as the lean, savage La Motta. Cathy Moriarty. In the film, the stunning 20-year-old actress is first introduced as being a 15-year-old girl.